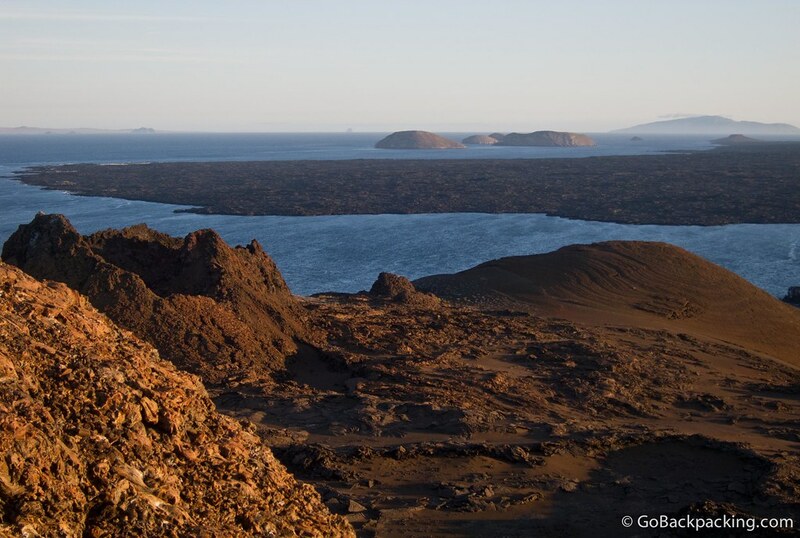 View from atop Bartolome Island at sunset. Before climbing the 400+ wooden stairs that lead up to the top of Bartolome Island in the Galapagos, we went snorkeling around nearby Pinnacle Rock, seeing a few Galapagos Penguins along the way. While we were running behind schedule, our late timing allowed us to see the view from Bartolome's lighthouse at sunset. The volcanic landscape looked alien. Our guide compared it to the Moon's surface, but I think it looked more like Mars. There is beauty in the starkness of this photo.